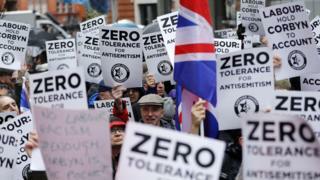 Nine Labour MPs have now quit the Labour Party in protest at the way their leader, Jeremy Corbyn, is handling Brexit and dealing with anti-Semitism. Joan Ryan, Anne Coffey, Angela Smith, Chris Leslie, Mike Gapes, Luciana Berger, Gavin Shuker and Chuka Umunna all announced their resignation this week. Ian Austin has now become the ninth MP to resign from the Labour Party. 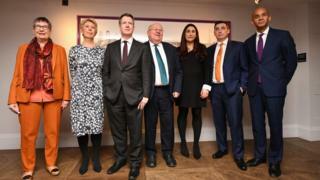 Eight of the MP's have now said they will work together as part of the Independent group. That group also includes three MPs who left the Conservative Party. Ian Austin says he will work alone as an independent MP. They have all spoken to the media to say why they felt they could no longer work for the Party. Mr Corbyn said he was "disappointed" they felt unable to continue. Ms Berger said: "This has been a very difficult, painful, but necessary decision." "We represent different parts of the country, we are of different backgrounds, we were born of different generations, but we all share the same values." She said Labour had become anti-Semitic and she was "embarrassed and ashamed" to stay. 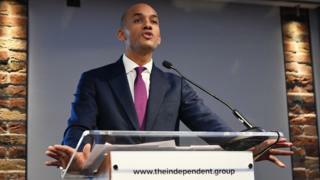 Chuka Umunna said they had taken a step forward, calling for other MPs from Labour, and from all parties, to join them in "building a new politics." "Politics is broken, it doesn't have to be this way," he said at the event on Monday. I am disappointed that these MPs have felt unable to continue to work together for the Labour policies that inspired millions at the last election"
Many of those that resigned are frustrated by the lack of leadership in dealing with anti-Semitism in the Party, and also disagree with Jeremy Corbyn's approach to Brexit. "I am sickened that Labour is now perceived by many as a racist, anti-Semitic party." He added that it was "increasingly clear that prominent figures in the Corbyn Labour leadership do not want to stop Brexit". "Split parties don't win elections"
In a statement, Mr Corbyn said: "I am disappointed that these MPs have felt unable to continue to work together for the Labour policies that inspired millions at the last election and saw us increase our vote by the largest share since 1945." He went on to say that "now more than ever is the time to bring people together to build a better future for all of us." Dave Prentis, the leader of trade union, Unison, said the resignations were "terrible news". "Working people need a Labour government but split parties don't win elections." He said Labour "must look long and hard at the reasons why the MPs feel they are no longer able to stay in the party." I don't really have an opinion on politics. I don't see any wrong in what the 9 labour members are doing. I'm glad people are making a change from student strikes to this.